Chevy needs to make up lost ground in the midsize sedan market with its redesigned Malibu, which replaces the disappointing one launched in 2012. GM fixed a key flaw by stretching the wheelbase and adding rear seat space. But Chevy wants the Malibu to stand out with edgy styling and tech features that rivals don't have. 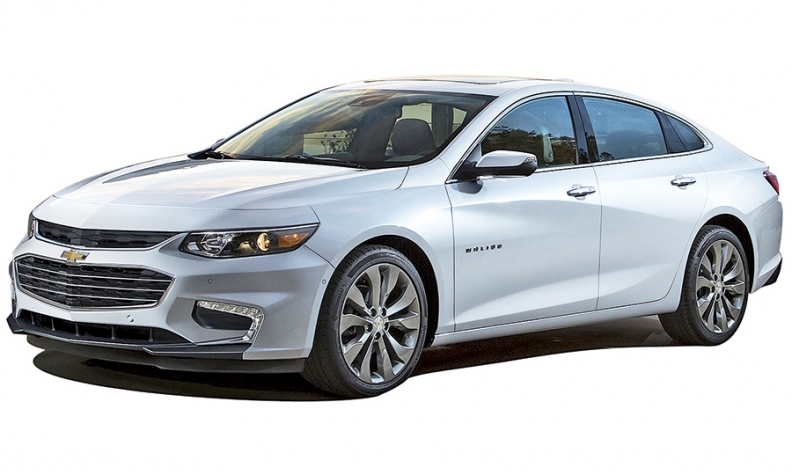 • Bottom line: Handsome sheet metal, more refined powertrains and loads of technology give the Malibu a chance to make inroads in one of the industry's largest markets. PALO ALTO, Calif. -- Chevrolet executives found out the hard way in 2012 that launching a redesigned Malibu that was merely in the same ballpark as its midsize sedan rivals wasn’t good enough. That Malibu -- to be replaced by the redesigned 2016 model that began shipping to dealers this week -- checked most of the boxes needed for success in the hypercompetitive segment. Fuel economy was above average. Critics said it handled decently. It topped the segment in initial quality for the last two years, according to J.D. Power. But the older Malibu was notably short on superlatives. And as a result, it has ceded market share to each of the top five competitors in the category since 2012, sinking to 8.2 percent of the segment through November this year, according to the Automotive News Data Center. Lesson learned, says Jesse Ortega, chief engineer on the redesigned Malibu. To turn the heads of Ford Fusion, Toyota Camry and Honda Accord customers, Chevy is touting several “first, best or only” features that will make the Malibu stand out from competitors, said Steve Majoros, marketing director for Chevy cars. For starters, Majoros believes the car’s svelte exterior styling will draw new buyers, with its unusual, converging creases along the side panels and a tapered rear that has drawn comparisons to the Audi A7. And Chevy has a story to tell on fuel economy. Cutting about 300 pounds from the old Malibu helps the new, 1.5-liter, four-cylinder base engine get to an EPA rating of 27 mpg city and 37 mpg highway, better than most competitors. A hybrid version that goes on sale this spring will have an EPA rating of at least 47 mpg in combined city and highway driving, handily topping the hybrid versions of the Fusion and Camry and matching that of the Accord. But it’s technology where the Malibu might have the most exploitable edge over rivals. It features the Apple CarPlay infotainment interface, a 4G high-speed wireless connection and wireless phone charging. A feature called Teen Driver disables the audio when the seat belts aren’t clicked and generates a report card for parents to see how many times their kids exceeded a preset speed limit, for example. “The technology we’re delivering in this car is going to be pretty unexpected for most people,” Majoros said. A kitchen-sink approach to active-safety features offers the most comprehensive safety package in the class, Chevy says, including lane-keep assist and a pedestrian-sensing system. IHS Automotive predicts the redesign will help the Malibu gain market share -- but only a little. It expects Malibu sales to rise 8 percent in 2016, to around 207,000, and then decline slightly in 2017, to around 200,000, still higher than this year’s expected total of 192,000. IHS predicts the midsize sedan segment overall will be flat from 2015 to 2017.